OUR WEBSITE IS UPDATING ALL THE TIME. FROM TOURNAMENT SCHEDULE, RULE CHANGES, TEAM POINTS, NATIONAL STANDINGS AND NEWS. CHECK OUT THE SITE! THANKS FOR PLAYING OKLAHOMA NSA. Jeff Pruis has been with NSA since 2008 when he started as a League umpire in Springfield, Mo. In 2010 Jeff was promoted to Southwest Missouri Area Director and started hosting tournaments there in Springfield. Jeff quickly grew he Southwest Missouri Area not only in Springfield but would have tournaments in Joplin & Branson as well. In 2016 Jeff took over as Missouri State Director as Mark Balven retired from that position. Jeff has continued to keep a well ran program that Mark had developed there in Missouri while expanding out to other States. 2017 Jeff was also named the Kansas State Director. As 2018 approaches, Jeff has been given Oklahoma and Arkansas to be added to his State Director roles and is currently developing the Midwest NSA Region. We're excited to have Jeff on board with Oklahoma NSA and look forward to his continued success and growth of NSA in the Midwest. If you are interested in becoming a Slow Pitch Softball Umpire, please get in contact with Reggie and he will help you get started. If you're already a Slow Pitch Softball Umpire and looking for a change or more games be sure to contact Reggie and he'll help with that. The annual NSA Convention in Myrtle Beach, South Carolina has come to an emotional end on Thursday night as founder and CEO Hugh Cantrell resigned and named Bill and Kathie Horton new owners of NSA/BPA. 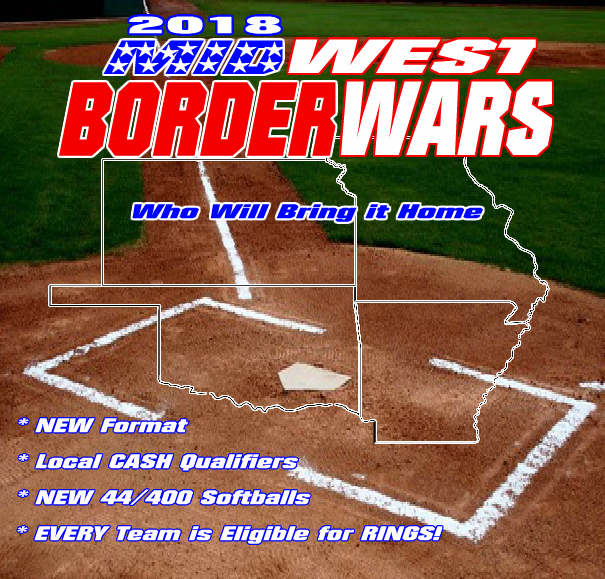 ENTRY FEES: Oklahoma NSA will reserve the right to collect tournament entry fee's from teams that back out of any tournament after the bracket has been generated. Failure to pay the tournament entry fee will result in suspension on the team and all players on the roster.